“Creative Company” is a brand new campaign and upcoming television series that aims to find Ireland’s most creative workplace. Placing an artist within a company, workers within ten different Irish companies will be set the goal of making a fantastic piece of art together. Whether a painting or a sculpture, the workers from all levels in the organisation will be encouraged to operate as a team and make the piece of art on their own premises from concept to completion. Exploring diverse workplaces and diverse workplace cultures, the project aims to reveal how creativity is found in contemporary Irish businesses. Judged by art critics, one company must come out on top. 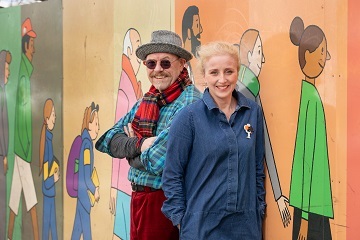 The businesses will be mentored by two professional artists throughout the entire process and working with the companies involved will be Dublin based painter Bríd Higgins Ní Chinnéide and Liam de Frinse, a Turner Prize nominated multidisciplinary artist from Belfast. 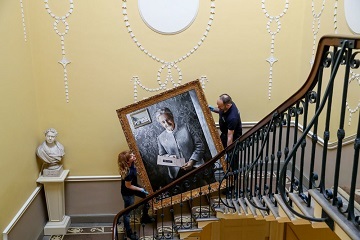 Today, RCSI, Accenture and Business to Arts unveiled a series of new portraits of historical female leaders in healthcare at RCSI. Women on Walls at RCSI in partnership with Accenture recognises the pioneering achievements of a group of eight extraordinary women and aims to enhance the visibility of historical female leaders in healthcare to inspire future generations. The portraits were officially unveiled today by Minister for Higher Education Mary Mitchell O’Connor TD and RCSI President Mr Kenneth Mealy. They will now hang in the Board Room of RCSI’s historic building on St. Stephen’s Green and can be seen at scheduled times throughout 2019. In March 2018, artists were invited to submit a proposal to Business to Arts, project managers of the initiative. A selection committee identified six artists who were commissioned to paints the portraits. The group of artists have worked with RCSI archivists to research their subjects and complete the portraits. 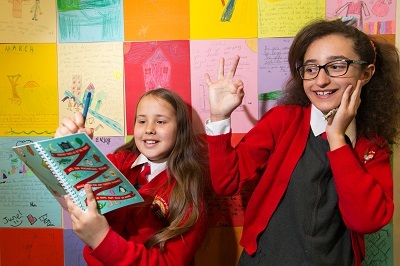 Andrew Hetherington, Chief Executive, Business to Arts said, “The artists commissioned, have created a powerful series of work highlighting the importance of gender equality. The Women on Walls campaign is a strong example of how art helps to communicate an important message. These eight extraordinary women whose portraits will hang on the walls of RCSI for years to come, represent the exceptional achievements of RCSI graduates and Fellows past, present and future. We salute the achievements of the six artists”. A new Women on Walls podcast series was announced during the unveiling. The eight-part series celebrates the lives of these eight Irish women who forged careers in healthcare during a time in Ireland when women were expected to stay at home. The first episode features the impact that Dr Barbara Maive Stokes, a paediatrician and pioneering disability campaigner, had on Ireland as a tireless advocate for people with intellectual disabilities. Women on Walls is now available for download from Apple, Google and Spotify podcasts. A new episode will publish fortnightly. RCSI is committed to promoting gender equality among staff and students for the advancement of the College’s mission to educate, nurture and discover for the benefit of human health. RCSI has been awarded Athena SWAN Bronze accreditation for positive gender practice in higher education. Women on Walls is a campaign that seeks to make women leaders visible through a series of commissioned portraits that will create a lasting cultural legacy for Ireland. 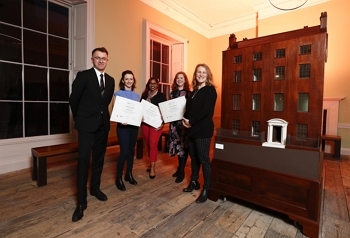 Accenture’s Women on Walls began in 2016 with the Royal Irish Academy which recognised the achievements of leading female academics and to inspire future generations. You can read more about Women on Walls at RCSI in partnership with Accenture and find out more about scheduled tour times by visiting accenture.com/womenonwalls and women.rcsi.com. 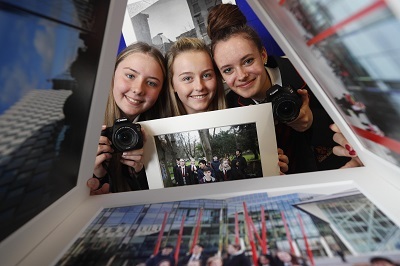 Transition year students Casey Swaine, Caitlin Tucker and Csenge Horvath of CBS Westland Row at the launch of photographic exhabition titled ‘Docklands Story Walks’. Picture Conor McCabe Photography. 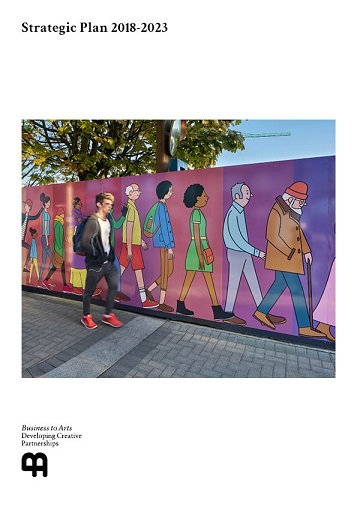 Walkers and Business to Arts have announced the ‘Walkers Stories from the Docklands Photography Competition’. Walkers staff, family members, and students from local schools in the Dublin Docklands area are eligible to enter. The deadline for entry is 5pm on Wednesday 6th February 2019. The winning photographs will be displayed in the new Walkers offices in the IFSC and each winner will receive a professionally produced and mounted copy of their image. Additionally, voucher prizes will be given to category winners. The competition looks to find great images, which focus on the themes of community, neighbourhood, work and play. For further details and to enter, please click here. This project builds on the Walkers Photographer-in-Residence programme which is now its second year. In February 2018, Irish photographer Kate Nolan was announced as the Walkers Photographer-in-Residence. The residency includes a series of workshops, where Kate has introduced documentary photography to CBS Westland Row transition year students through ‘story walks’ of the Docklands. The residency supports Business to Arts’ wider programme of activity, which promotes the Arts collaboratively with businesses, artists, audiences and communities. 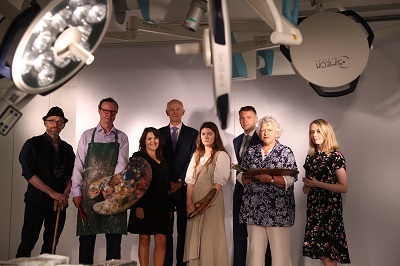 ‘As our Docklands Arts Fund programme continues to expand, we are delighted to build on our partnership with Walkers on this new photography competition. Taking the beautiful backdrop of Dublin Docklands as inspiration, we look forward to seeing staff family and student entries that focus on community, neighbourhood and work life in the local area’. For the fifth event of our 30th Anniversary year, we collaborated with Bank of Ireland, partner of Fundit.ie to celebrate our three-year sponsorship. The event showcased performances by successful Fundit.ie project creators Máire Carroll, Shane Hennessy and Crash Ensemble. The highlight of the evening was the world premiere of ‘Educo’ composed by renowned composer Bill Whelan to mark the occasion. Bill was inspired by our “advocacy work and the mentoring role Business to Arts plays in an artist’s career”. Through support and training, we encourage artists to discover their own potential and artistic expression. In this composition, the guitar stands for the artist and the piano represents the support that can stimulate and inspire. The piece was composed for pianist Máire Carroll, guitarist Shane Hennessy, & members of Crash Ensemble. What connects these artists is the fact they have used Fundit.ie to fund a project. “Over the last three years, we have had a partnership with Bank of Ireland on our crowdfunding website Fund it. It has included sponsorship of the website and a national programme of crowdfunding clinics at Bank of Ireland workbenches. This investment in Fund it has allowed us to redevelop the website, make it relevant for more projects and it has helped us to future proof our technological needs. 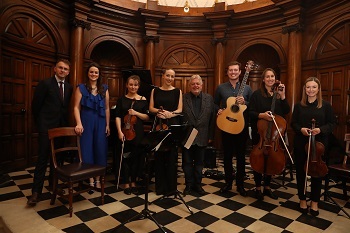 The support from Bank of Ireland has also enabled us to unlock matched-funding from the Department of Culture, Heritage and Gaeltacht to achieve this. To date, Fund it has helped 1,500 Irish projects launch and raise funds on the website. In doing so, close to €5m has been committed by more than 80,000 people around the world. Our final 30th Anniversary event will take place at TileStyle on November 28th. 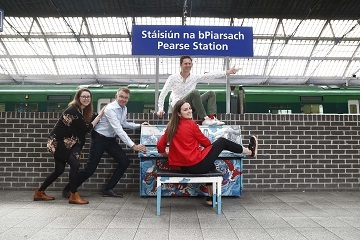 Tamar Keane, Smashing Times Theatre Company, Andrew Hetherington, Chief Executive, Business to Arts, Artist Fergal McCarthy and pianist Máire Carroll at the Pearse Street Piano for the announcement of the recipients of the 2018 Small Grants Scheme under the Docklands Arts Fund. Picture Conor McCabe Photography. 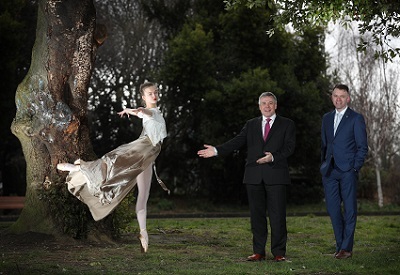 Today, Business to Arts announce this year’s recipients of the 2018 Small Grants scheme under the Docklands Arts Fund. The objective of the Docklands Arts Fund is to enhance and develop the appreciation of quality art experiences in the Docklands area. Fergal McCarthy (visual artist), Máire Carroll (pianist) & Smashing Times Theatre and Film Company will receive funding for each of their projects, which will be based in Dublin’s Docklands over the next year. ‘Local community engagement is at the core of Docklands Arts Fund activity. Each year it continues to build a reputation for quality arts experiences that bring those who live and work in the environment together through creative collaborations. Our 2018 Small Grants recipients will create performances, workshops and publications, which respond to audiences and the context of the Docklands’. ‘Tríocha bliain ag cothú comhpháirtíochtaí’. 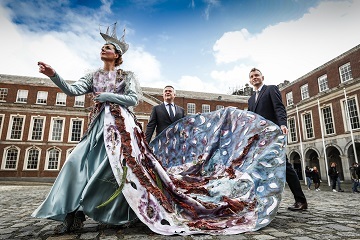 Over the past 30 years, Business to Arts have enabled, developed and supported creative partnerships between the corporate and cultural sectors in Ireland through commissioning, sponsorship, staff engagement, training and bespoke events. The creation of ‘Tríocha’, in conjunction with Terroirs marks this special milestone and celebrates the achievements of Business to Arts to date. When Seán and Françoise Gilley of Terroirs realised that 2018 would mark Business to Arts 30th Anniversary they wanted to make a special contribution. Since the early 90’s the Gilley’s have been fervent supporters of Business to Arts creative and professional projects within the art world. Wine-making is also a form of artistry. Since 1994 Françoise and Seán Gilley have been focusing on sourcing and importing hand-selected wines produced by family-owned properties who respect nature. 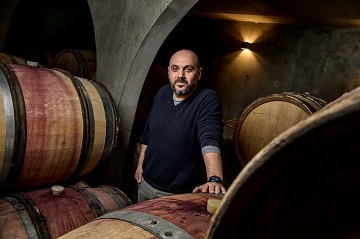 The Gilley’s approached wine grower and wine maker Sylvain Morey of Bastide du Claux from the Luberon in Provence. An art lover, Morey farms his vineyards organically and crafts excellent wines in Provence and also in Burgundy. Sylvain was indeed thrilled and proud to produce two special wines for Business to Arts 30th Anniversary in conjunction with Terroirs. Such a special wine deserves a distinct name. ‘Tríocha’ was an obvious name for the occasion. In a subtle way it denotes the 30 years that Business to Arts have persisted in developing and supporting creative partnerships between the corporate and cultural sectors in Ireland. 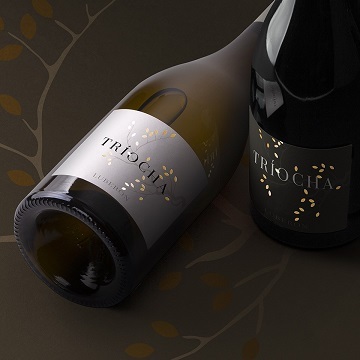 With a high proportion of Grenache Blanc and Vermentino from thirty year old vines, ‘Tríocha’ white 2016 displays subtle and fine aromas of honeysuckle and stone fruit which both entice and satisfy. ‘Tríocha’ is delicate, fresh and pristine which makes it a great partner for seafood. The perfectly ripe berries of Syrah and Grenache noir from thirty five year old vines produced the very attractive ‘Tríocha’ rouge 2016. The palate delivers notes of delicate black and red fruit followed by a subtle layer of spices. Vibrant and luxurious with a silky texture, this wine will pair beautifully with grilled meats and cheese. ‘Tríocha’ was served to guests at the 2018 Allianz Business to Arts Awards on Sept 4th at Bord Gáis Energy Theatre. 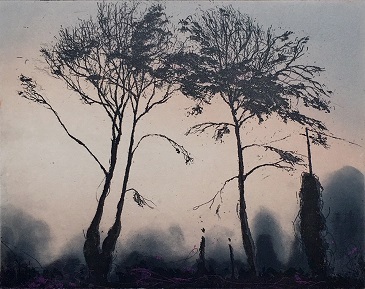 ‘Tríocha’ can purchased for €23.50 at Terroirs in Donnybrook & a percentage of sales will be donated to our Arts Fund. Corporate packages are available and Business to Arts members will receive a 20% discount. Please contact info@businesstoarts.ie for further details. This year, Business to Arts celebrates its 30th anniversary and it is the right time to look forward and set out a plan for what we can achieve over the period 2018–2023. We believe that our work advocating for, supporting and developing creative partnerships has never been more relevant. This five-year plan is inspired by the resilience we have witnessed in recent years and by our stakeholders’ ambitions for the future. Since our foundation in 1988, we have brokered, enabled and supported a wide range of creative partnerships between businesses, individuals and the arts. This work involves multi-layered relationships with our corporate members and arts affiliates in order to develop solutions in areas such as sponsorship, CSR, commissioning, philanthropy, staff engagement, art collections, internal and external communications and client events. 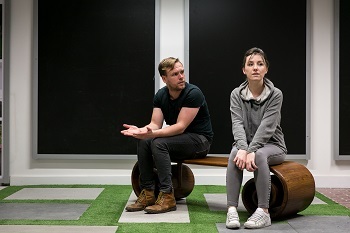 In addition to this, we also work with our arts affiliates providing a range of training opportunities to help diversify income streams, grow audiences and improve efficiencies. We invite feedback on this Strategic Plan from our stakeholders. Please direct any observations, feedback or suggested enhancements before 5pm, Monday 15th October 2018 to info@businesstoarts.ie or +353 1 662 9238. On Monday May 29th, A&L Goodbody & Business to Arts hosted a Writer in Residence event at St.Joseph’s Co-Ed Primary School in East Wall. 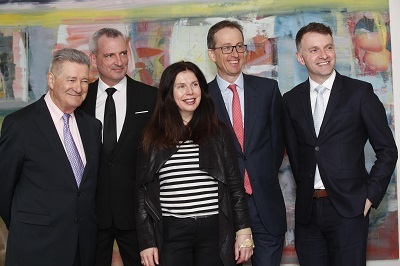 Pupils, teachers, family members and A&L Goodbody employees were in attendance to celebrate two years of partnership with the A&L Goodbody Writer in Residence Catherine Ann Cullen under the Docklands Arts Fund. Music and songs composed during the programme by the students were performed by the students with Catherine Ann, accompanied by musician Imogen Gunner. 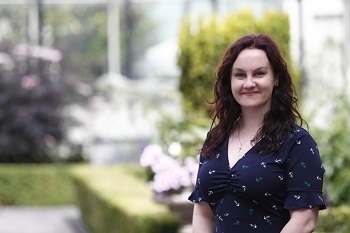 Catherine Ann has worked with the pupils at St. Joseph’s Co-ed Primary School in East Wall in Dublin with a view to improving their creativity and literacy skills. Each week the pupils ‘commissioned’ her to write a poem on a theme of their devising, and the following week’s session opened with that poem. Catherine Ann compiled her poems into books called ‘Themes for Third’, ‘Fourth Class Favourites’ and ‘Scribbles for Sixth’. As well as working with the children to create poems and develop their creative writing, Catherine Ann has written songs together with each class, such as ‘East Wall Thank You Stew’ and ‘Jumper Justice’. 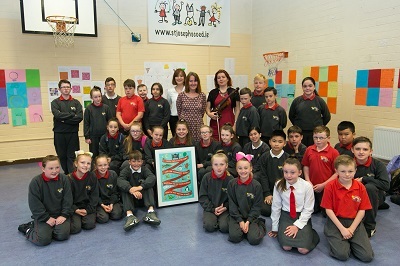 A specially commissioned artwork was presented to the school by Sinéad Smith, Corporate Responsibility Manager at A&L Goodbody. Catherine Ann composed a short poem, and Chris Judge added the visual characters, to represent the spirit of creative writing and poetry, which have been part of the Residency. Preparing for Brexit (Part Two). How artists and arts organisations can consider its impact and plan ahead. 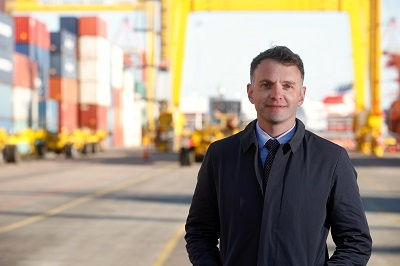 This is the second article in our ‘Preparing for Brexit’ series and is a follow up to the article by John Ward (of the Global Freight Group, Maurice Ward). Increasingly, the team at Business to Arts are being asked more focused questions about the impact of Brexit on the arts sector. These questions started to develop out of our annual Arts, Festival and Music Sponsorship Report. This report identified a softening of sentiment toward sponsorship/marketing spend (in 2016 & 2017) as a result of market volatility created by Brexit. 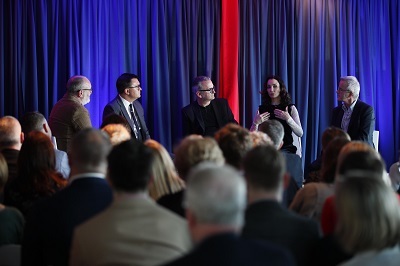 In early May 2018, we also co-hosted a panel discussion with English National Ballet at the Bord Gais Energy Theatre during Dublin Dance Festival where Brexit was the focal point. In this article, I’ve brought together a range of resources and opinions (including our own) that might be helpful for artists and arts organisations. Typical question: I don’t know if Brexit will impact me/my organisation? In what scenarios is it more likely that Brexit will impact me/my organisation? Typical question: I know Brexit will impact me/my organisation. What should I do? Firstly, don’t panic! The exact impact of Brexit on artists and arts organisations is yet to be seen. It is highly likely much of the finer detail will remain unknown until last-minute agreements are made between the UK and the EU… and for years afterwards as these decisions are implemented. (a) Goods and services you / your organisation procures from UK-based people / organisations. Try to calculate the average value of this over the last three years. (c) Audiences based in the UK that travel to Ireland to see your work. Understand their value to your organisation. Know how you segment this audience profile, communicate with them and sell your organisation to them. This is particularly relevant to some of Ireland’s larger music and arts festivals and venues. This audience profile could be at risk… particularly if sterling continues to weaken. By doing the above, you start to build a better picture of the exposure your organisation might have to Brexit. You can then rank the financial exposure(s) you/your organisation has as either low/medium or high risk. Talk with UK-based partners, co-producers, commissioners, peers or customers/audiences. Ask them how they are planning for Brexit or the impact they believe it will have on them. I’ve always believed in the importance of sharing knowledge among arts/cultural professionals and the value of this tradition in terms of business planning/strategy. Talk to your accountant and other professional advisors. It is highly likely they have started to think about the implications of Brexit for other clients. Typical Question: What implications does Business to Arts expect? Are there any opportunities? Additional human resources and/or time required for dealing with customs/excise. As the UK will exist outside of the EU, it is certain that some forms of customs and trade registrations will be required. For example, if you travel or export your artistic goods or services to the US, you will be aware of some of the red-tape that is involved. You can begin to consider which declarations, registrations, authorisations and reliefs are required OR will need to be put in place. Revenue Commissioners Responsibilities, Cashflow and Binding Tariff Information Considerations To understand more about this, read part one of this series by John Ward, CEO of Maurice Ward and Co Ltd.
Focus on growing Irish Tourism Markets We expect the US and German markets to remain a focus of Tourism Ireland with some additional investment in new opportunities from Asia and the Middle East. The global popularity of Star Wars film locations in Ireland is expected to continue too. Typical Question: What other resources are out there for me? Failte Ireland’s ‘Get Brexit Ready’ http://www.failteireland.ie/Supports/Get-Brexit-Ready.aspx Fáilte Ireland has developed a suite of supports to assist businesses through Brexit volatility. They include, Training programmes, Market diversification tactics, Competitiveness resources, GB & NI tourism statistics, Research and insights, and a Calendar of Support. British Irish Chamber of Commerce and particularly the output / policies of their Culture, Arts, Sports and Tourism Committee http://www.britishirishchamber.com/culture-arts-sports-tourism-committee-cast/ Have a read of ‘A Post-Brexit Vision to 2020 : A Policy Paper by the Culture, Arts, Sports and Tourism (CAST) Committee of the British Irish Chamber of Commerce’ available here. We are very happy to announce that Business to Arts are seeking applications for the Docklands Arts Fund Small Grants 2018 from artists and not-for-profit, charitable & voluntary arts organisations. The objective of the grant round is to contribute funds to a range of artists and arts organisations with projects focussing on longer-term impact on the Dublin Docklands area. Providing funds to artists and arts organisations which have strategic partnerships supports our mission to develop quality arts experiences with a lasting impact on the local community in the Dublin Docklands area. Approximately 3 grants of between €2,000 and €5,000 each will be given to projects by September 2018. The Open Call for Projects is live until Thursday, 28th June 2018 at 5pm. Projects that widen access to participation to arts activities and arts education for underrepresented groups, such as persons from low-income background, those with disabilities, older people etc. Projects that will take place between September 2018 and June 2019. For any queries on the application process, please contact Eileen. The Docklands Arts Fund was established in 2015 to create Ireland’s first Arts Fund supported by companies, organisations and individuals located in the Docklands Area. 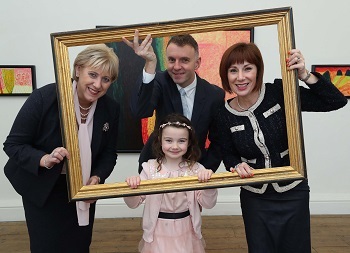 It is a collaboration initiated by Business to Arts and Dublin City Council. 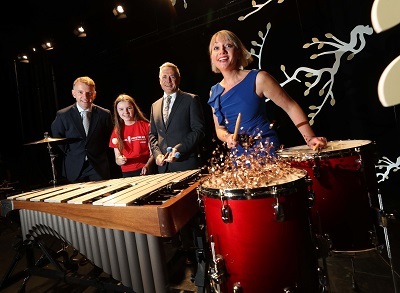 Together with corporate and organisational partners, we plan to enhance the practice, appreciation and development of quality arts experiences in the Dublin Docklands Area. “What you can contribute by common sense or asking the awkward or obvious question in the room, that’s valuable to arts organisations. Having a different perspective and a different background” Justin Bickle on his role as Chairman of English National Ballet. 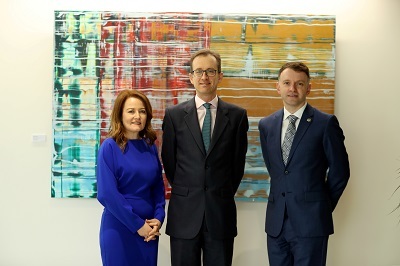 John McGrane discussed the opportunities of Brexit for Ireland, promoting the cultural offering of Ireland as an important factor that potential incoming workers consider when selecting a new home. A key takeaway is that Ireland may well be positioned attract more EU funding and co-production investment. The performance of Akram Khan’s Giselle by English National Ballet was a powerful, thought-provoking and magnificent reimaging of a traditional classic. We hope that Irish audiences who may not have previously witnessed contemporary ballet are now encouraged to see new work by both domestic and international world-class talent. Business to Arts are very happy to announce that Helen Carroll has been appointed Head of Communications & Partnerships at Business to Arts. Helen has worked at Business to Arts since 2016 as Senior Manager- Marketing & Strategic Partnerships. This senior management team role will further develop current and potential partnerships at Business to Arts. Helen oversees the communications and sponsorship relationships of key Business to Arts events and programmes including the Allianz Business to Arts Awards, Fundit.ie, The New Stream Programme supported by Dublin City Council and Department of Culture, Heritage & Gaeltacht, Business to Arts’ CEO Forum & special member’s events. To read more about Helen see her profile on the about us section of our website and on linkedin. Garry Ferguson, Managing Partner, Walkers, Walkers Photographer-in-Residence Kate Nolan and Andrew Hetherington, Chief Executive, Business to Arts with transition year student Hollie Hanevy of CBS Westland Row. Picture Conor McCabe Photography. 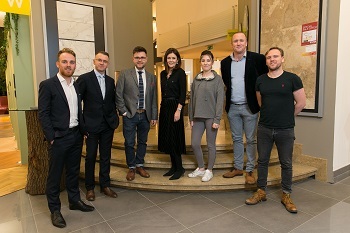 Business to Arts and financial services law firm, Walkers, joined Irish photographer Kate Nolan and transition year students at CBS Westland Row to celebrate the completion of the first year of the Walkers Photographer in Residence project. 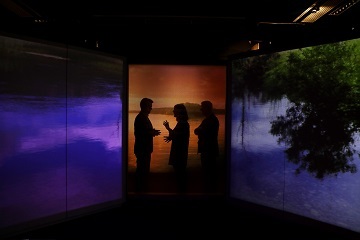 The students’ project work was exhibited at the Walkers offices alongside Walkers staff photography, showcasing the development of their photographic skills together. Kate’s residency included a series of workshops, where Kate introduced documentary photography to CBS Westland Row transition year students through ‘story walks’ of the Docklands. These workshops were led by the students themselves, who selected the locations to be photographed. Each week students explored a different theme, visually strategising their stories through photographic walks of the Docklands. On these walks, students learned new technical skills and aesthetic decisions. 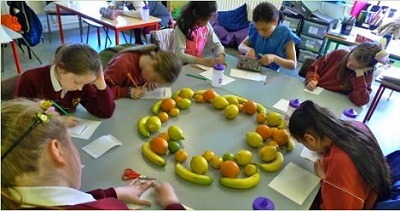 The images created were brought back to the classroom to discuss and combine with text. 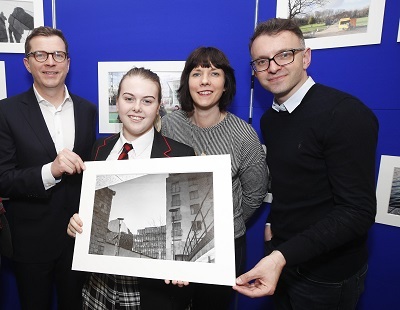 Transition year students Casey Swaine, Caitlin Tucker and Csenge Horvath of CBS Westland Row at the launch of photographic exhibition titled ‘Docklands Story Walks’. Picture Conor McCabe Photography. The exciting venture marks the first time that a business in Ireland has engaged a Photographer-in-Residence programme with Business to Arts and Dublin City Council. The residency supports Business to Arts’ wide programme of activity, which develops quality arts experiences for artists, businesses, communities. To learn more about the Docklands Arts Fund click here or contact one of our team today. 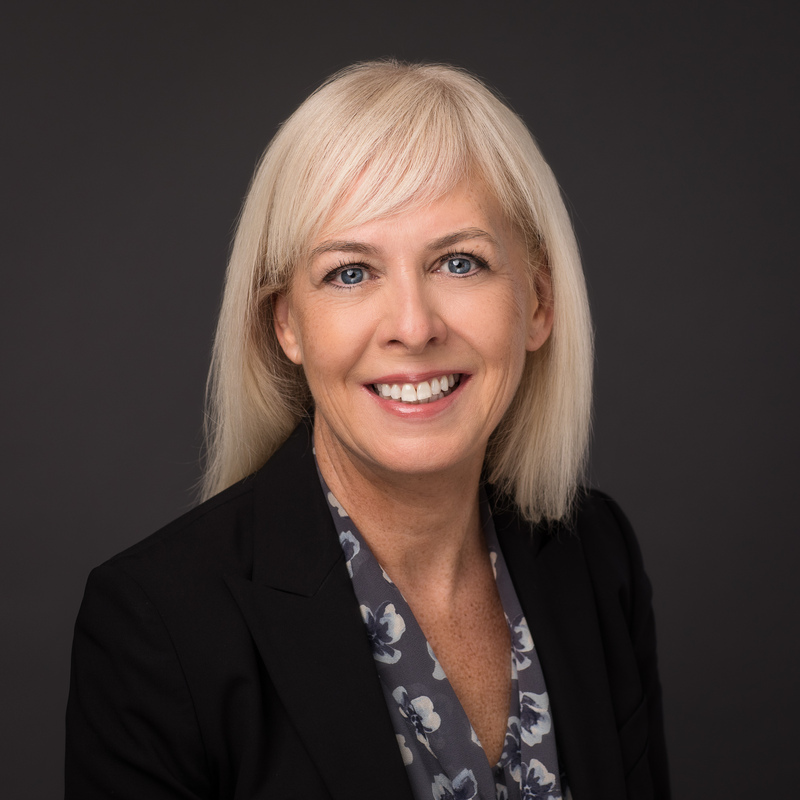 Following a public recruitment process, we are very happy to announce that Joeleen Lynch has been appointed to the position of Membership and Project Manager. 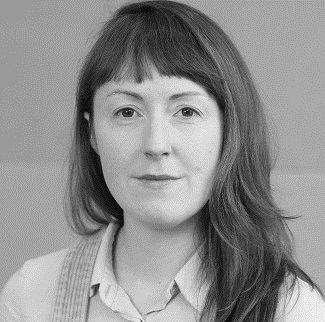 Joeleen is an arts manager and curator with over 6 years experience in multi-disciplinary arts programming, project management, artist consultancy, education and visitor experience. Joeleen has held various roles in public art galleries, commercial galleries, pop up exhibitions, heritage sites and cultural initiatives representing organisations such as: The Eden Project (Cornwall), The Ark (Dublin), The Design and Crafts Council of Ireland, the Contemporary Art Programme for National Trust, Trust New Art and Year of Irish Design 2015. Joeleen is also a contributor to CCQ: Culture Colony Quarterly; a contemporary art magazine based in Wales. Joeleen graduated from the University of Aberdeen with an MA in History of Art, during this time she was awarded a place on the North American International Exchange Programme at the University of Guelph, Ontario. She later graduated with a Postgraduate Masters in Contemporary Curatorial Practice from Falmouth University. 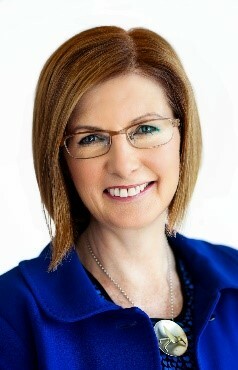 To read more about Joeleen see her profile on the about us section of our website and on linkedin. On April 10th, we celebrated the first event in our 30th Anniversary series with our partner Arthur Cox. Each of our events throughout this special year will showcase various strands of our work and different art forms. 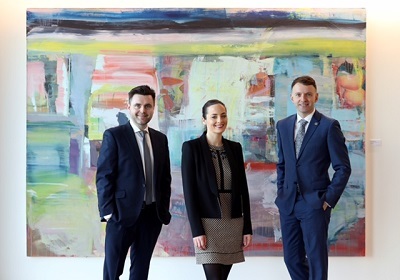 The event, hosted at the beautiful new Arthur Cox offices with interiors designed by Scott Tallon and Walker, located at Earlsfort Terrace, provided our corporate members the opportunity to explore the law firm’s art collection, which has been developed over a number of decades. 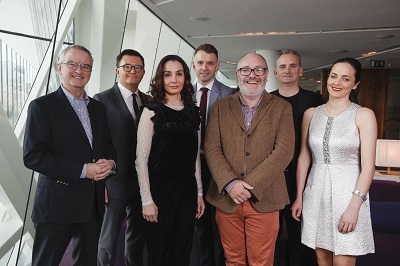 Our panel discussion lead by Andrew Hetherington, Chief Executive, Business to Arts included artists James Hanley RHA, Diana Copperwhite ARHA, Niall Scott, Scott Tallon and Walker and Brian O’Gorman, Managing Partner, Arthur Cox. The Arthur Cox Art Collection is a selection of art works that Business to Arts have had the pleasure to re-present with Arthur Cox at Ten Earlsfort Terrace. Working in partnership, we have audited, assessed the condition, conserved, reconditioned, curated and installed the collection during their move to this beautiful new building. I know the entire team involved have taken great pride in doing this. A number of themes are evident in the collection. The first is ‘Memory’. Each artwork represents a time, a building, a person, an event or a location in Arthur Cox’s history and memories of that time. The second theme is ‘Colour’. Modern buildings like this one are bright and full of glass. Neutral tones help create a relaxing environment. The artworks help to bring colour to walls and spaces throughout the building. Their effect is similar to the effect of Arthur Cox people in a building. They are part of the character, life and soul of Arthur Cox. Another theme is ‘Tranquillity’. In this collection, there are many abstract paintings and prints, which introduce a variety of geometric shapes to the collection. They are balanced, architectural and meditative and bring a sense of calm to the building. “Architects should be encouraged to have a strong interest in the visual Arts – this vital interest can only have a beneficial impact on design quality” Niall Scott, Scott Tallon & Walker. Works by Diana Copperwhite, Caoimhe Kilfeather, Richard Gorman and Patrick Scott in this collection embody these themes. Their artworks could be considered central elements of the collection, which have influenced how the collection has been gathered and is now presented. “Being included in a corporate collection ensures that an artist’s work is visible to a wider audience. Being hung and included in publications with other artists that you admire validates your own position further” Diana Copperwhite ARHA, artist. Arthur Cox have developed this collection modestly and gradually over time. In doing so, they have created a collection with many layers of value to their organisation. Combined with Arthur Cox’s other sponsorship and CSR activity in the arts, it represents a sustained and significant commitment to the arts. We look forward to seeing Arthur Cox’s art collection evolve in years to come. Thank you to Brian O’Gorman, Rachel Hussey, Jean Maxwell and Anne Frain of Arthur Cox for supporting our 30th Anniversary programme. Thank you to our former colleague Margarita Vasquez who worked closely with Arthur Cox on their collection. If you would like to learn more about how you can build a corporate art collection, one of the Business to Arts team would be happy to talk you. Contact Eileen here. We are delighted to announce that Simone Macleod-Nairn has been appointed to the board of Business to Arts. Simone was born in Ireland and educated in the US and Ireland. 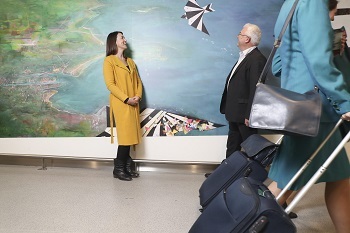 She returned to Ireland in 2017 to join Irish Life as Executive Director, Head of HR and Corporate Resources, following a successful career in the UK. Simone has a strong track record supporting major Financial Services companies to develop and deliver their people strategy, most recently in HSBC, and prior to that in Standard Bank, ABN AMRO, and Merrill Lynch. She has a Postgraduate in HR Strategies and Development (Incl. CIPD) from the London Guildhall University. 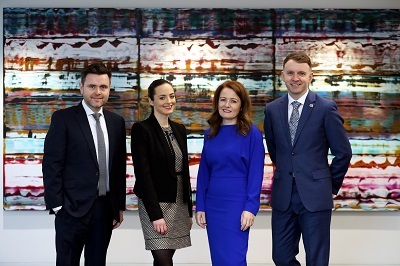 We are delighted to announce that Teresa McColgan has been appointed to the board of Business to Arts.Teresa is a tax partner in PwC’s Private Business Services group, where her clients include family businesses and law firms. She is the Irish lead for PwC’s Global Family Business NextGen Club, an international network of young professionals, entrepreneurs and successors in family businesses, and is a key member of the team managing PwC’s partnership with the Centre for Family Business in DCU. 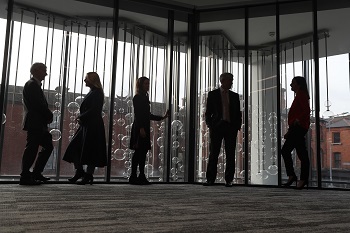 Teresa also leads PwC Ireland’s not-for profit practice, working with a broad cross-section of the sector from business associations to charities, including educational and health institutions. She is a member of the Statutory Consultative Panel on the Governance of Charitable Organisations established in 2017 by the Irish Charities Regulatory Authority. An accountant (FCCA) and tax adviser (CTA), Teresa is also a Chartered Director. She has been a board member of Concern Worldwide since 2009, and chairs its Finance Committee.